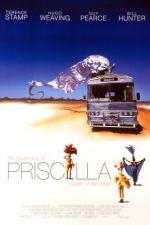 Part of our "Top Hits" series, 'Priscilla' premiered at the Original in 1994 and was a huge hit with Princess patrons. Reacquaint yourself with Priscilla's irresistible charms! “You don’t do a movie about two drag queens and a transsexual traveling in an old school bus halfway across Australia without loading on the sequins and making cinematic use of the awesome outback.